While the net provides us with endless reading opportunities, online reading does not come with no price and in most cases the price is our attention and focus. Web pages are full of ads and flash animations that can greatly affect the quality of your reading especially when it comes to reading lengthy articles that require sustained concentration. But there is a technocure to this. If you use Chrome browser, the extensions below will definitely help you enhance your online reading experience. They provide you with a comfortable reading experience by removing all the web noise and digital clutter that surrounds readable materials leaving you only with the naked text to read and enjoy. 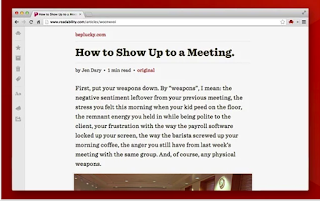 Readability is an excellent Chrome extension that allows you to read the web in a more comfortable and clutter-free environment. 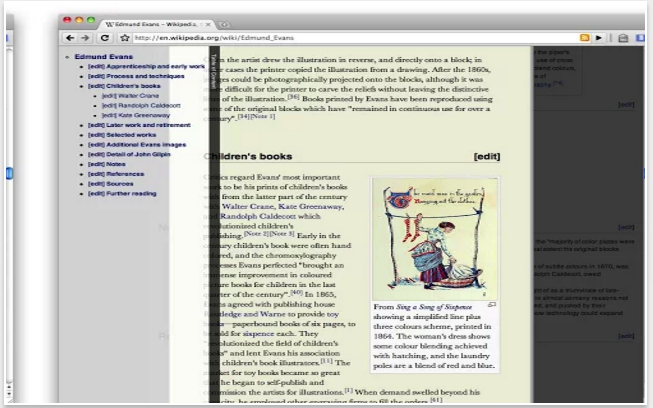 Once activated, Readability turns web pages into ‘reading mode’ with no surrounding distractions. 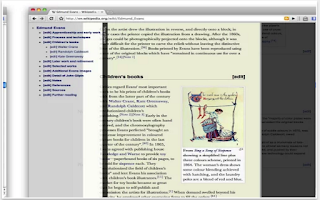 You can customize the reading view, change background templates and type size the way you like. 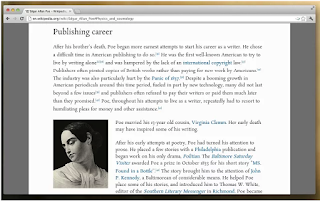 It also allows you to save your articles to read later and if you use Kindle Amazon, Readability enables you to easily send your reading materials to your Kindle. 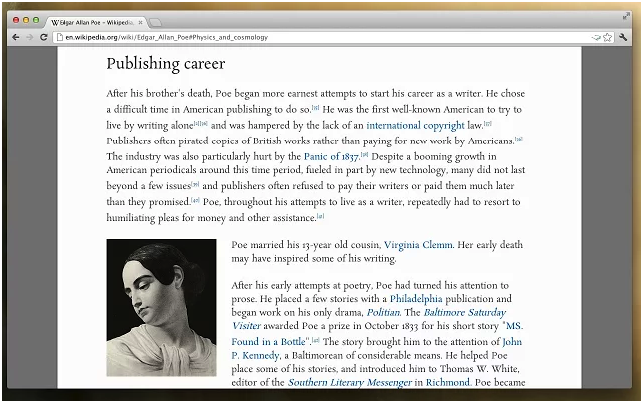 This is another good Chrome extension that provides an online comfortable reading experience. It brings forward the readable content and removes all the surrounding clutter. You can also customize the colour, size and fonts of your articles.You can even change the page background and use a selected image instead. 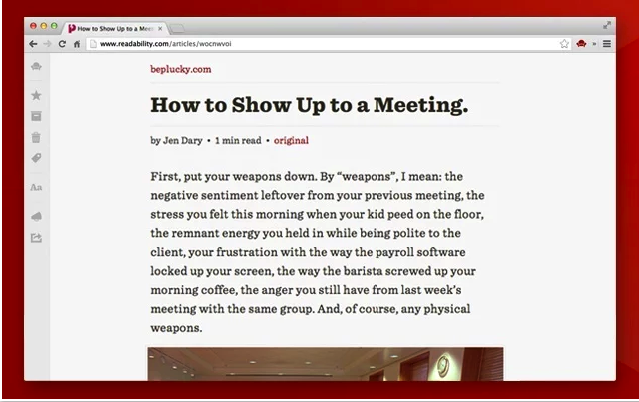 Read Mode, as its name suggests, turns your Chrome into a pleasant reading mode with no ads or flash animations. The way it works is simple: install the extension, click on the glass icon in the address and you will have your webpage turned into a nice-to-read black and white page. Click on the glass icon again to deactivate the extension.